I have teamed up with 'The Body Source' to bring you one tip on Argan oil. This tip is on helping prevent and fading your stretch marks. I am a mummy and during pregnancy I gained quite a few stretch marks. Obviously, you don't have to be a mummy to gain stretch marks as anyone can get them. This however, is a nice tip for expecting mummies'. This tip works best for preventing stretch marks. It is best to try and prevent stretch marks rather than trying to get rid of them once they are there. As Argan Oil contains vitamin E it is perfect to help with stretch marks. Vitamin E is great for helping with marks and scars on your skin. 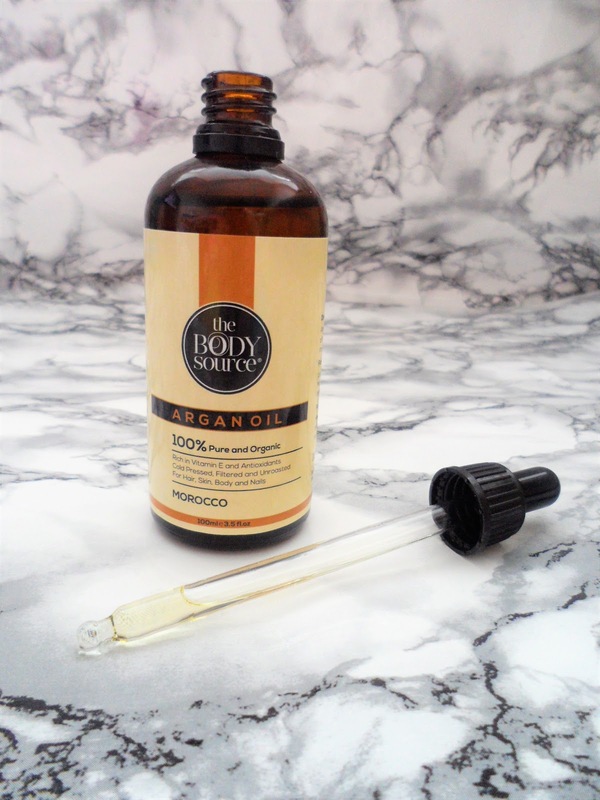 As a Mum-to-be, when stretch marks are starting to make an appearance that's when the Argan oil should too. Pop a couple of drops into the palm of your hand (a little goes a long way) and massage into the area where the stretch marks are beginning to show. Trust me when I say, take time to do this. Not only will it help prevent stretch marks but it also means you getting some pamper time. Pamper time can be hard to come by when your baby is here so make the most of it while you can. My stretch marks were all round the front of my tummy. I carried all to the front and my skin isn't very elasticated. Already a Mummy and have unwanted stretch marks? You can do the same. Take 5 minutes to have some 'me time'. Take time to massage a couple of drops into the areas with stretch marks to help reduce the appearance. Both of the tips above I would recommend trying to do these a couple of times a day. One thing I do want all of the Mum's out there to remember is, embrace yourself! We're all in the same boat so there is no need to worry! Some people are lucky during pregnancy and don't get stretch marks but it affects more women than you think. Just remember your body is or has been the home to your little bundle of joy for around 9 months. I see mine as a reminder of what our bodies are capable of and I made my beautiful baby girl. 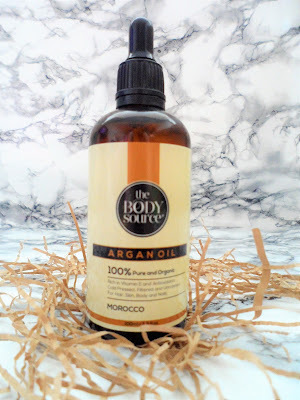 If you would like to buy The Body Source Argan Oil, you can use code: lovearganoil20TT for 20% off! Also, The Body Source Argan Oil is ethically sourced in Morocco and it is not tested on animals. I loved trying this, it's quick drying and it isn't greasy. I love the little pipette it comes with which makes it easy to dispense just how much you want. Argan Oil can be used for many more things other than stretch marks. I am excited to try this on my hair. What tip would you give on using Argan oil? I am currently lathering myself in bio oil every night because I have got my first stretch marks from either putting on weight too quickly or losing it too quickly! It's made me feel horrible about myself - I must check this out! I've used bio oil for a number of years but this sounds like a great alternative. This sounds brilliant for anyone with stretch marks. I have them on my leg so may give this a go. I have major stretch marks on my thighs so This sounds perfect! Love argan oil but never thought to use it for stretch marks. Has it made a noticeable difference in your skin and how long do you have to use it to see a visible difference? So keen to start using it! At the moment I use bio oil for my stretch marks and scars. It seems to do an ok job but I might have to give this a go! I love this oil, its great for so many things!